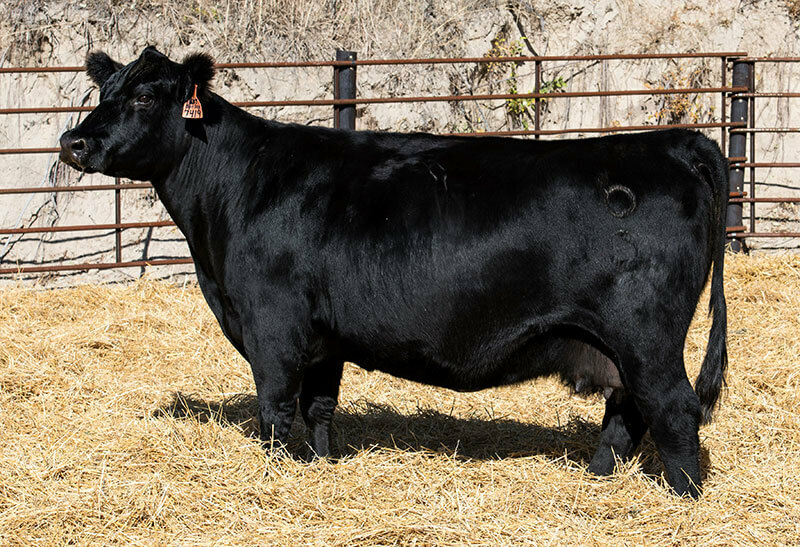 We don’t have a lot of donor’s yet here at Paxton Cattle, but hopefully that’s proof of how critical we are trying to be on the quality it takes to get there. I believe from the production and maternal side of things, a cow should have to prove herself in what we ask her to do, before she can achieve donor status, otherwise there is just too many unknowns! We will be continually adding females to this page, so scroll down and let us know of any flushing or embryo opportunities you may want to take part in! 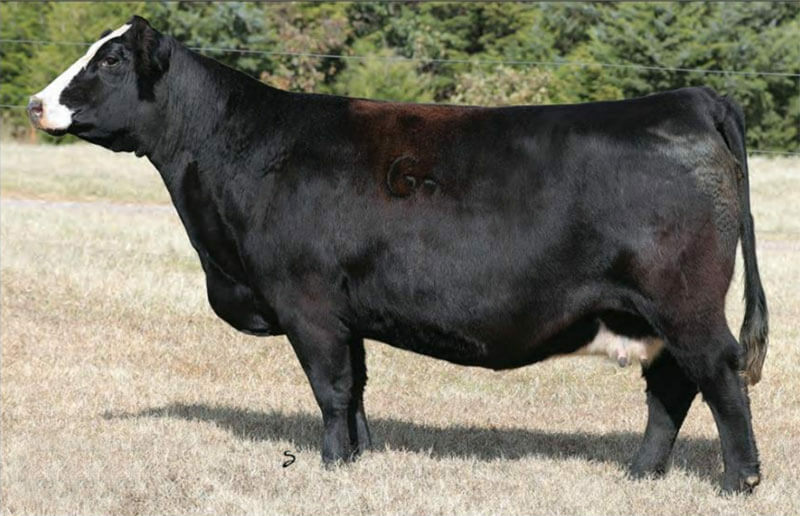 7419 is quite possibly the most attractive, well-built angus female I’ve ever laid eyes on. Too see her is to love her, and that holds true any time of the year, regardless of the condition she’s in. The truly elite ones look good fat or skinny, and add to it she’s coming 12 years-old with a freshly weaned calf and an udder like that, you can understand why I’m fired up about this donor! Truly impeccable feet and legs. Flashy or not Sow flat out works. She has not missed a beat yet! Her first year she stuck a Jesse James heifer back into the herd that we showed off and on competitively in the commercial division, the next year she produced a county fair champion steer out of I-80, then last year she had the Champion FFA steer at the California State Fair, and most recently she has a Maternal Made heifer that we plan to hold onto! We put in 9 Maternal Made eggs fresh this summer and froze the other 19 she produced on just one flush! Needless to say, she’ll be flushed plenty of times more. We purchased 146W off of Griswold’s classic sale this past December. 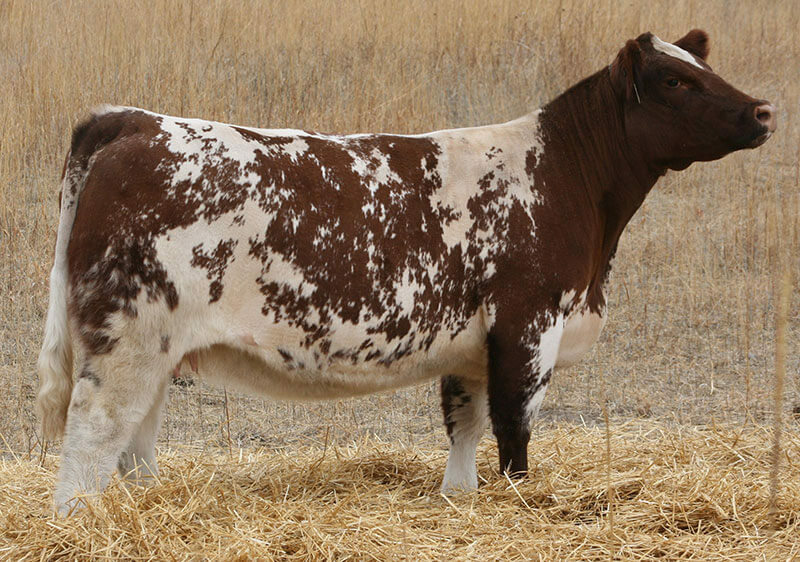 We love this cow's pedigree, and when we saw her on hoof, I knew she was going to be a tremendous asset to the program. I love her foot shape and flexibility all while being extremely robust and dimensional in terms of body shape and stoutness. We plan to flush her this up and coming spring, so be on the lookout for 146W progeny! Annabelle definitely catches your eye, but not just for her attractive color pattern, but also her quality. We are excited what she can do for us on the steer making side of things. Big legged, thick made, sappy bellied, and neat fronted. What more can you ask for! Add to it that she's THF & PHAF, and she offers some mating flexibility! 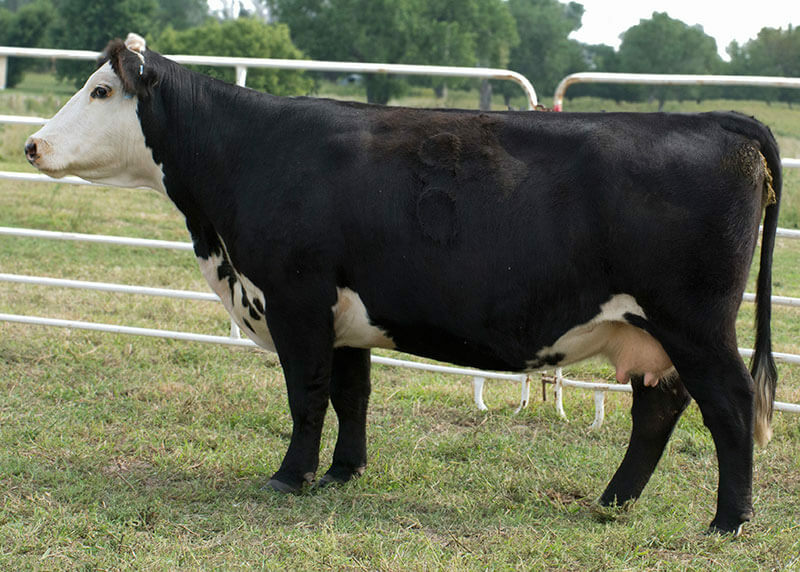 We are expecting embryos by Dakota Gold this coming spring, they will be neat to say the least!